Los Angeles (January 24, 2017) – Helinet, one of the largest and most respected helicopter operators on the West Coast, announced today the appointment of Vice Admiral William “Dean” Lee to its board of directors. Dean joins Helinet CEO Kathryn Purwin, healthcare operations leader Jim Adams, broadcast veteran Arnold Kleiner, and federal security and aviation expert Thomas Norton on the now five-member board. Prior to becoming a member of Helinet’s Board of Directors, Dean served as commander of the Atlantic Area for the U.S. Coast Guard. 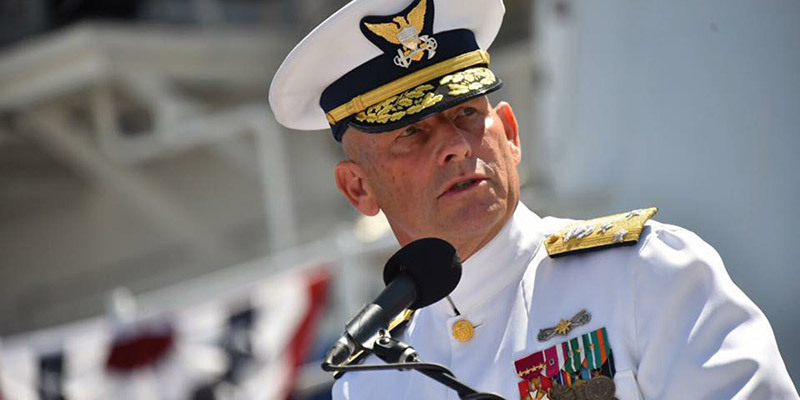 In this role, he was responsible for commanding missions from the Rocky Mountains to the Arabian Gulf, spanning across five Coast Guard districts and 40 states. Concurrently, Dean served as Commander of the Defense Force East and provided Coast Guard mission support to the Department of Defense and Combatant Commanders. “Dean’s government career included a wide range of disciplines which will benefit both the Board and Helinet. His extensive experience as a leader will be a great resource to our management team, and we are confident that his counsel will help our organization achieve continued growth,” said CEO Kathryn Purwin. From VIP charter, electronic news gathering, emergency medical transport, and motion picture and television production, Helinet provides a broad range of services to its growing clientele. The company’s technology division continues to expand and is a leading provider of surveillance solutions to law enforcement agencies throughout the country. Vice Admiral Lee has served 35 years as a commissioned officer, specializing in Boat Operations and Search and Rescue missions. Dean is a native of Richmond, Virginia. He earned a Bachelor of Arts degree from the University of South Alabama, and a Master of Arts from George Washington University.